What is a Nebraska Rental Application? Nebraska Rental Application: What Is It? In the state of Nebraska, a rental application allows those who are interested in renting a property or an apartment can do so in a uniform fashion, proving the same information as all other applicants. 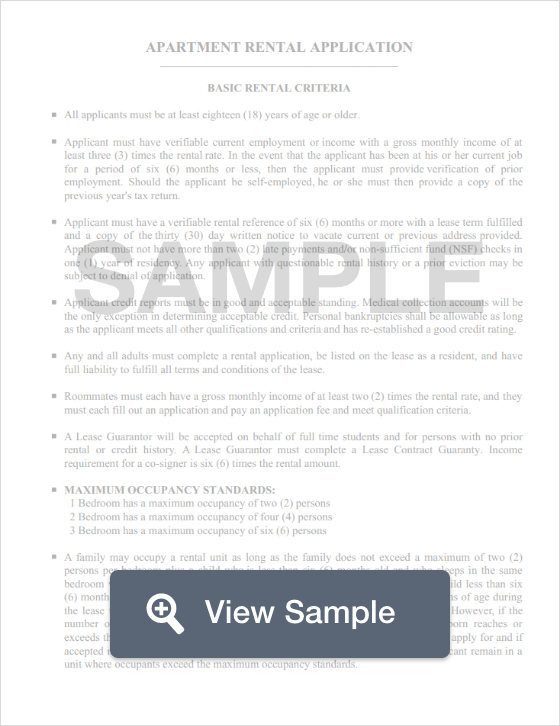 For landlords, a rental application allows them to screen their applicants in an organized fashion that maximizes their chance of finding the most ideal candidate of all their applicants. These applications are written to conform to federal fair housing laws so that both the landlord an the applicant are protected. Nebraska Law dictates that the most that a landlord or property manager may charge for a deposit is the equivalent of one (1) month’s rent as a security deposit. For tenants with pets, the law caps the security deposit at one and one-half month’s rent (1.5). Once a tenant moves out, the landlord must return the security deposit back to him or her within 14 days of vacating the premises (Chapter 76, Section 1416 of the Nebraska Revised Statutes).